Pictured L-R Professor Carol Curran, Executive Dean, Life and Health Sciences; Professor Cathy Gormley Heenan, Pro-Vice-Chancellor Research and Impact; and Professor Cherie Armour, Associate Dean, Research and Impact. With 1 in 4 people experiencing a mental health problem annually and with Northern Ireland recording some of the highest rates of mental ill health and suicide in the UK, Ulster University is building upon its existing, world-leading mental health research with the launch of a £5 million Institute of Mental Health Sciences. 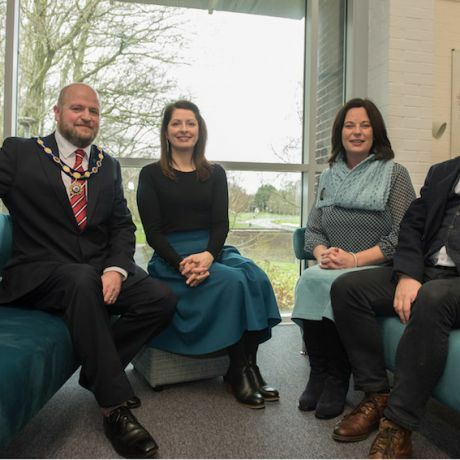 Bringing together Ulster University’s world-leading research expertise across a range of disciplines the institute will deliver research that will transform the lives of those living with mental health issues and maximise the impact of Ulster University’s mental health and wellbeing research. 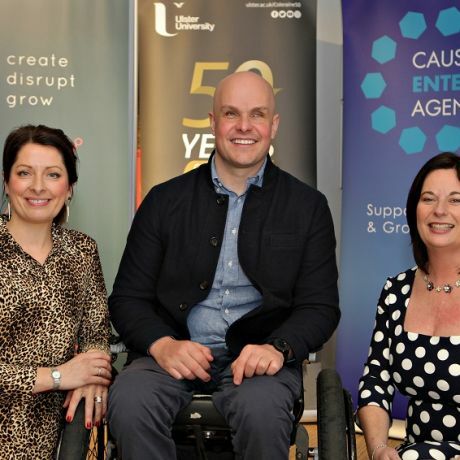 The new Institute strategically aligns with the existing research and infrastructure related to mental health research at Ulster University and builds upon recent investments of £11 million in the Centre for Stratified Medicine; £5 million in Functional Brain-Mapping Facility; and €8.6 million of funding for the Centre for Precision Medicine. 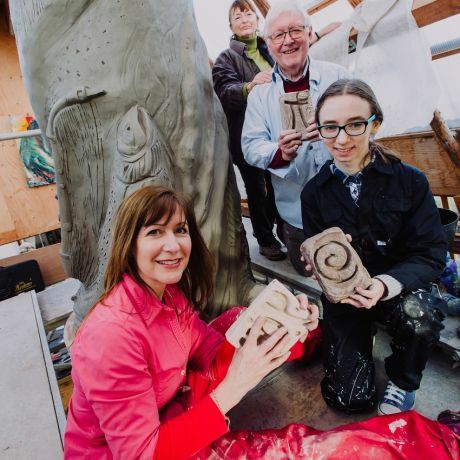 Over the next 5 years there will be investments in 6 new senior academic posts, 20 PhD studentships, postdoctoral research associates, a breadth of short courses, and the development of a new multi-disciplinary MSc in Mental Health Sciences. 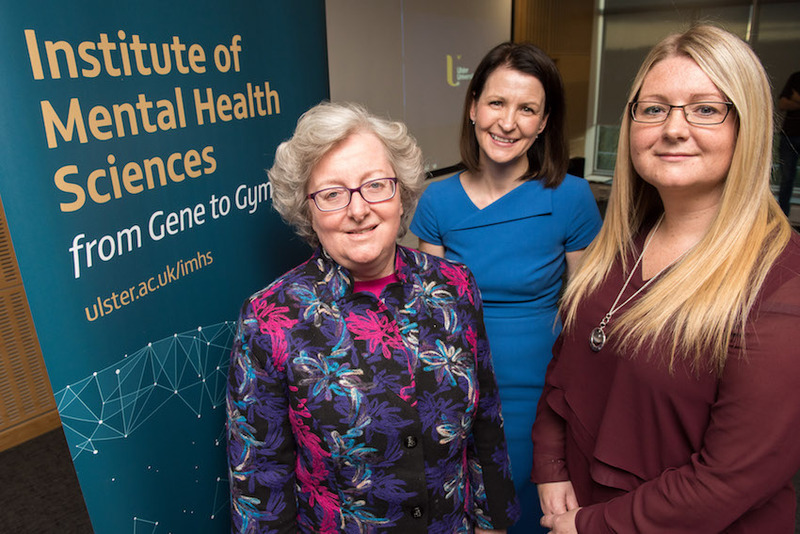 Scientists aligned to the Institute will work collaboratively on research, which examines the genetic underpinnings of mental health all the way through to how mental ill health issues can be alleviated through interventions promoting physical exercise. This research will transform scientific breakthroughs into life changing and life saving interventions and treatments for those with mental health issues. “Mental Health is an important societal concern in Northern Ireland and across the globe. Our aim is to facilitate a greater understanding of the impact of mental health on individuals and society and to inform a much-needed step change in mental ill health prevention and care in Northern Ireland. Our approach looks beyond the short term, we will deliver patient centred solutions and look at early intervention right through the life of the individual. “The Institute for Mental Health Sciences will provide a holistic approach to mental health research combining expertise in areas such as biomedicine and genomics, psychology, public health, health economics, and sports sciences.